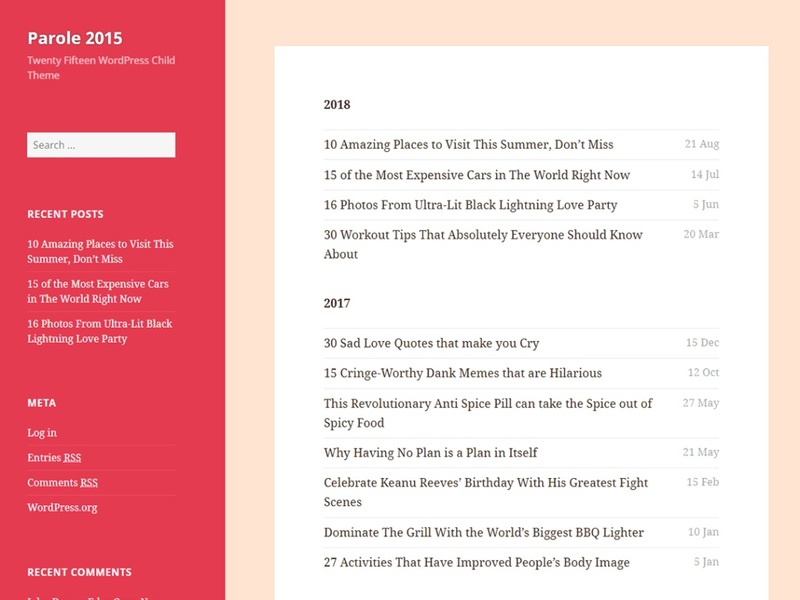 Parole 2015 theme is a Twenty Fifteen WordPress child theme. Parole 2015 is a clean, simple and lightweight WordPress theme, featuring a front page with a complete post archive arranged by year rather than a traditional blog flow. It also sports fully customizable background colors for the sidebar and content, responsive design, social network links with icons.